Make a one-time or monthly gift to the Cleveland PTA. Celebrate Earth Day Saturday, April 20, 10:00am - 12:00pm. Everyone is welcome to help us keep Cleveland's gardens healthy and beautiful! 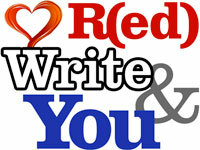 Wednesday, May 1: R(ed), Write, and You! Celebrate Gratitude with QUEST-OASES! This fun, positive event is open to everyone in the Cleveland Community. On campus from 4:30pm - 7:00pm. Free activities and stationery. Inexpensive snacks will be for sale. The newly revised handbook is available in English, Chinese, and Spanish. Click through to read or download the seven-page .pdf document. Cleveland is a California Distinguished School! Fewer than 1% of state schools receive this honor, and Cleveland is the only Oakland school designated in 2018. We were also recognized for a "California Exemplary Program in Arts Education and/or Physical Activity and Nutrition Education."